CFH Financial Services, Inc. was a proud sponsor of the 2017 AFSP Out of Darkness Community Walk that took place on Saturday, October 21, 2017 at the Memphis Botanic Gardens. Our team of employees joined the effort to help raise awareness and funds to allow the American Foundation for Suicide Prevention (AFSP) to invest in new research, create educational programs, advocate for public policy and support survivors of suicide loss. For more information, please visit www.afsp.org. 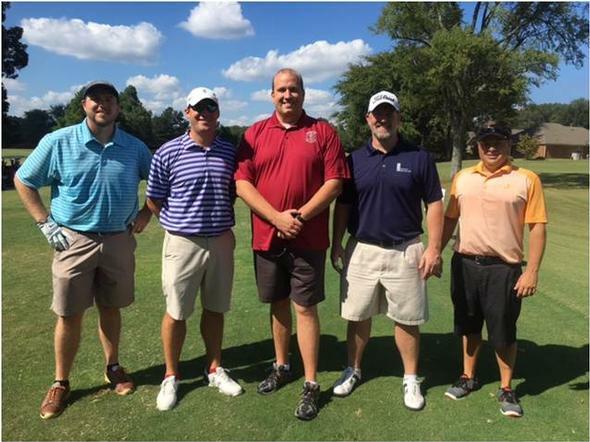 CFH Financial Services, Inc. recently participated in the Memphis Fire Fighters Association Foundation Charity Golf Classic benefitting The Firefighters Burn Center at Regional One Health. The Firefighters Burn Center treats more than 400 patients annually and is the only one of its kind within a 150-mile radius of Memphis. The Burn Center is a 14-bed facility that has an outpatient clinic, surgical facilities, rehabilitation center, research division, and cutting edge burn care equipment. The Memphis Fire Fighters Association Foundation is proud to partner with such a valuable resource here in Memphis. They feel it is their duty to help support the Firefighters Burn Center, and hope that others will join them in making sure that this incredible facility remains available to the community. For more information you can visit www.iaff1784.org. Participating in the fundraiser pictured above are Billy Wingo, Jay D. Williams, Matt Tomeck - Secretary of the Memphis Fire Fighters Association Foundation, Craig Howard of CFH Financial & Kenneth Dixon. 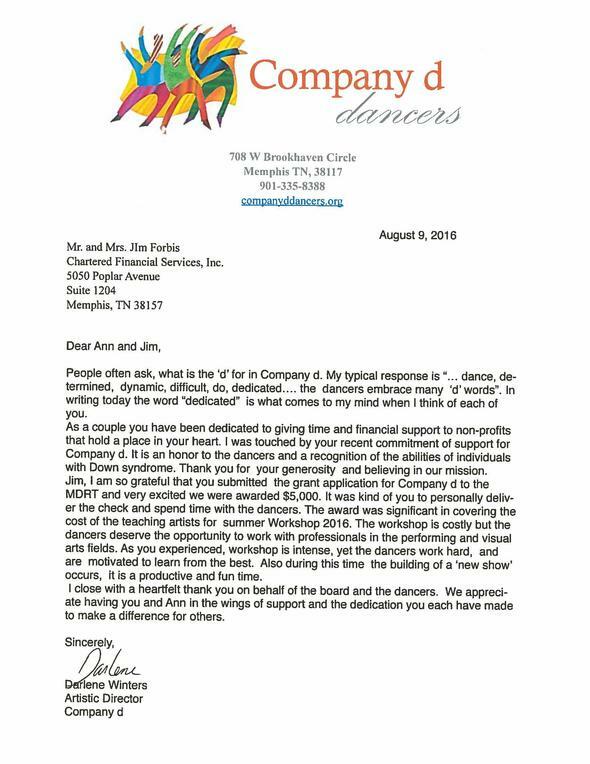 CFH Financial Services, Inc. advisor Jim Forbis and his wife Ann were recently recognized by Company d dancers for their generosity and dedication for providing financial assistance. 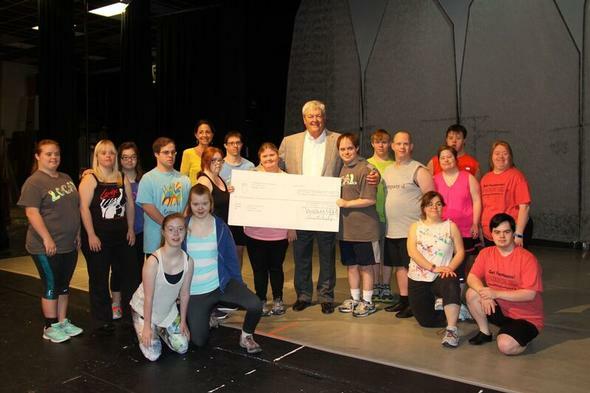 Jim was instrumental in helping the Company d dancers receive a grant in the amount of $5000.00 from the MDRT Foundation. This grant will be used to help offset the costs for the summer Workshop. Jim Forbis pictured below with the Company d dancers.